Skatter Tech recently got a hold of Proporta’s Alu-Leather Case and Advance Screen Protector for the Creative ZEN. I put them to the test right away by carrying it around to see how well the Proporta accessories would protect my gizmo. I was quite pleased as the case was quite rigid while it maintained a fairly fancy look and the screen protector adhered and fit the screen perfectly. 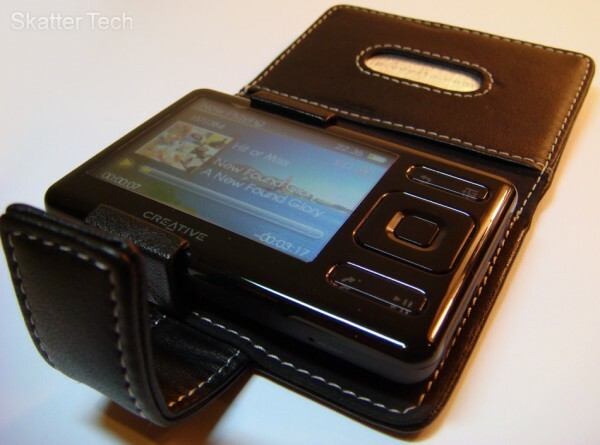 The Creative ZEN digital audio player slides into the case and is held in place by to well padded clamps. The case is enclosed by a strong flap which is fastened with a magnetic clasp. A lightweight yet strong aluminum sheet is embedded into the leather both on the bottom and top flaps to provide additional support. Proporta provides an attachable belt clip which can be easily removed if you don’t plan on using it. The headphone jack and the USB port have been left open therefore listening to music and/or charging the device won’t be a problem. No functionality of the ZEN is lost and even the SD card slot is reachable without having to remove the device from the case. The Advance Screen Protector for the Creative ZEN has been pre-cut exactly to fit the square around the screen. Although the protector achieves its goal of guarding the screen, it fails to cover any other portion of the top of the player such as the controls. Proporta provides a cleaning cloth and a application card in the packaging so that the screen protector can be applied easily and properly. The main issue we faced was the fact that screen clarity is lost due to the graininess of the plastic sheet. Although it isn’t a problem for browsing through music, it can become very irritating if you plan to watch videos. 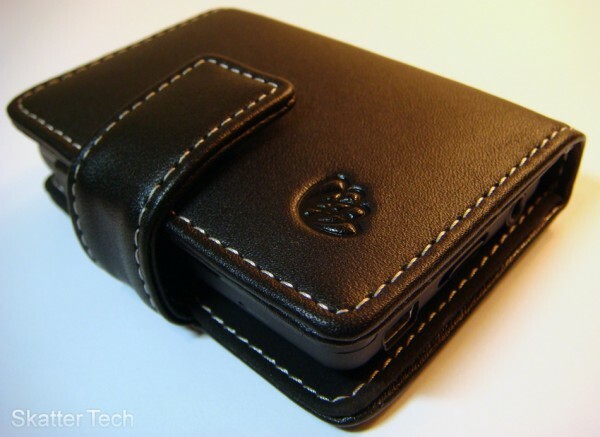 The leather case and screen protector are available for purchase from Proporta’s website for $34.95 and $9.95, respectively. However by using the coupon code “skattertech” (no quotes) during checkout you’ll get a 10% discount bringing the price of both items to just $40.41. Overall we were quite satisfied with both these products, however if you own a Creative ZEN and you feel you know of a better way to protect your device, please let us know by replying in the comments.